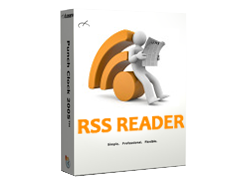 RSS Rich Site Summary is a family of web feed formats used to publish frequently updated works—such as blog entries, news headlines, audio, and video—in a standardized format. An RSS document (which is called a "feed", "web feed", or "channel") includes full or summarized text, plus metadata such as publishing dates and authorship. KN Technologies has good command to write script of RSS fetching from API or RSS providers. Our team easily parses that RSS feeds and insert into the database or show on interface. Our team has good command in Hotel and Flights Booking RSS and API integration websites.